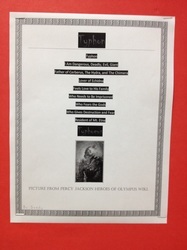 Have you read the Percy Jackson novels? Did you know they are based on Greek Mythology? Ever hear of Hercules or the Titans? 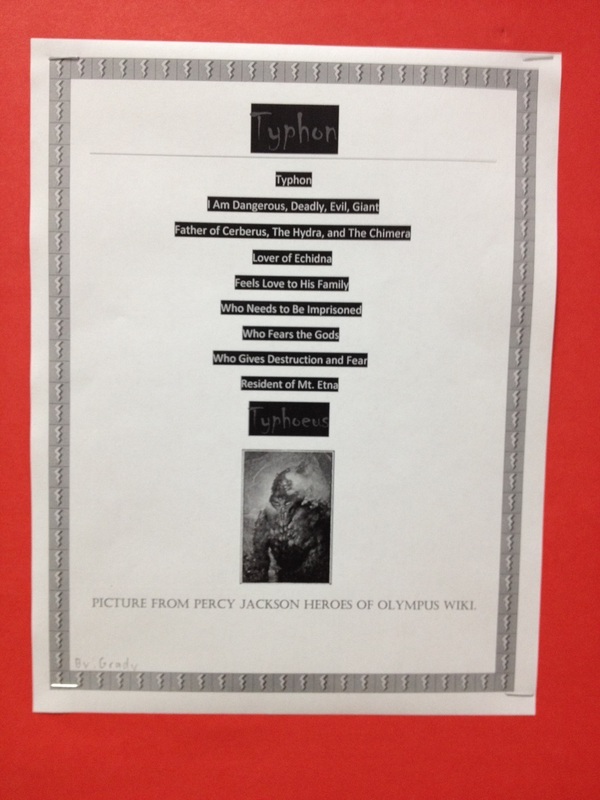 Learn more about Greek Mythology, including the Olympians, heroes, and monsters! Students wrote a Biopoem (Biographical Poem) about a character from Greek Mythology. 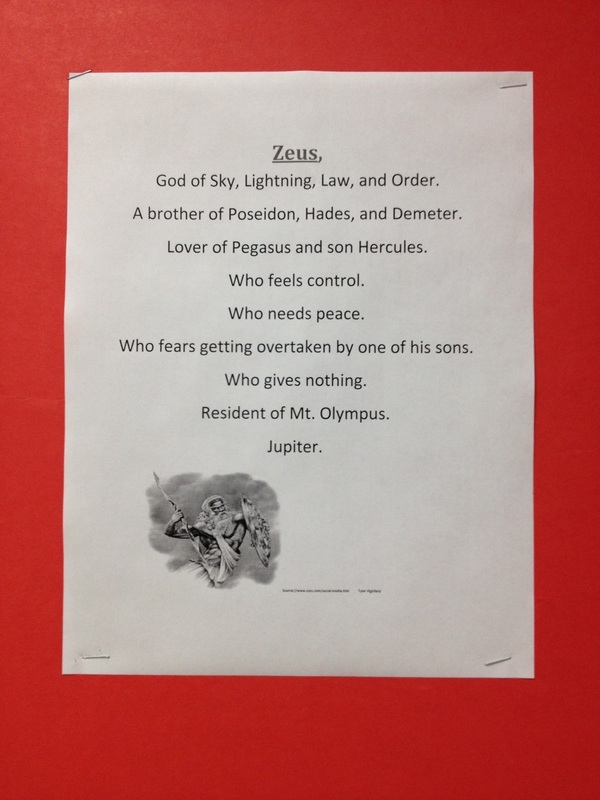 Final projects were chosen by the students to show what they learned about the Greek gods and goddesses. Some students used iMovie on the iPads, some chose to make a slideshow in PowerPoint, and others made a slideshow using the app called Haiku Deck. Click here for Braydon's imovie on Ares. Click here for Vish's imovie on Poseidon. Click here for Vish's imovie on Dionysus. Click here for Grady's imovie on Hestia. 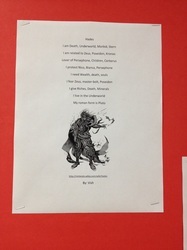 Click here for Grady's imovie on Hades.